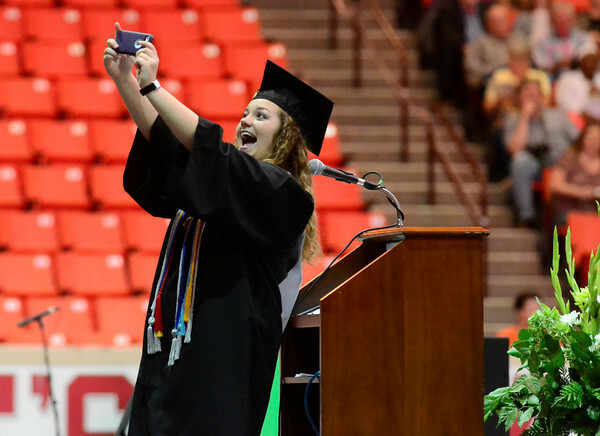 Norman High senior Clancy Cox takes a selfie after her Senior Reflections speech during the school's 2014 graduation ceremony at the Lloyd Noble Center Friday, May 23, 2014. Over 300 seniors graduated in the ceremony, with 27 of those being straight A students. To see more photos from the graduation visit: photos.normantranscript.com.